Some pink to delight. A touch of green to soothe. An easy beige to calm. A spread of brown to hasten. Fall is upon us as much as this colorful bouquet would show otherwise. 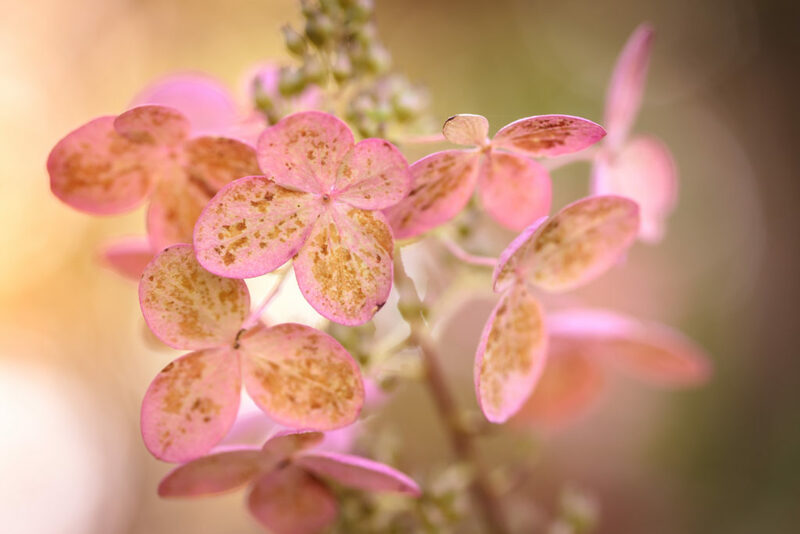 If looks could deceive this quick fire hydrangea would take a bow in the starring role. Come spring this bush blooms plain enough. Simple white flowers open up, as unassuming as they are unremarkable. Over the next few months playing host to a litany of eager pollinators. As the days turn to weeks and the weeks turn to months, a most curious transition occurs. Once simple white flowers transition into a colorful panoply of pastel beauty. A shield device painted by the unseen hands of the master power. By late fall the color sets in a striking kaleidoscopic array. One last reserve serried up in full regalia ready to wage one last battle of life before winter takes the war. And winter always takes the war.